Ashkenaz is the Hebrew name for Germany, but when we speak of Ashkenazic Jewry we include France as well. The Jewish people came to France and Germany very early. Legend says that Jews were there even during the time of the Second Temple. Certainly, the Jews came there together with the legions of Rome, who went there to conquer what was then Gaul and make it a Roman colony. The Jews came as adjuncts of the Roman conquerors and remained there. The Jews settled in three main areas of France. The first was Provence, the Latin word for “Province” because it was colonized by the Romans. It is in southern France on the Mediterranean; it is the Riviera. It was centered around what is today the port city of Marseilles. All the famous cities of the Provence such Montpellier, Arles, Narbonne and Lunel had a sizable Jewish population. There are still Jews in Provence today, but the height of the Jewish community there occurred from the tenth to fourteenth centuries. The second area was the Rhineland, which was at times controlled by Germany and at other times by France. The Jewish communities of the Rhineland flourished in the ninth and tenth centuries. There were three main Jewish communities there: Speyers, Worms and Mainz. The third area where the Jews lived in France was around the cities of Paris and Troyes, which were about 25 miles apart from each other. Troyes is famous in Jewish history because it is the home of Rabbi Shlomo Yitzchaki, otherwise known as Rashi, the great commentator and teacher of the Jewish people. Today, there is almost no sign that Jews ever lived in Troyes, even though they had lived there for hundreds of years. The Ashkenazi began as Frenchmen. The migration pattern of the Jews throughout the entire period was eastward into Germany and Central Europe, and from there even further east into Poland, Russia and Eastern Europe. Many times this movement was a result of anti-Semitism and persecution. When the Roman Empire dissolved the area of Provence was taken over by the Visigoth tribe. They were particularly cruel, primitive and fanatical Christians. Under their reign the Jews in Provence were persecuted very severely. From the fourth until about the tenth century we have no records of organized Jewish life in Provence. It was the darkest part of the Dark Ages, when all of Europe was illiterate, uncivilized and uncultured. The Muslims came to Spain, then crossed the Pyrenees in the north and came to Provence intending to conquer all of Europe. They were defeated on the eastern front outside of Vienna and on the western front outside of Provence. Nevertheless, for about 80 years the Muslims controlled Provence. These Muslims were not the tolerant, friendly Moors who partnered with the Jews to produce the Golden Age of Spain. The ones who made it all the way north to the Pyrenees were the fanatics like the Almohads, whom the Jews suffered terribly under. Therefore, the Jews of Provence welcomed Charlemagne (c. 742–814 CE), the French knight who finally drove out the Muslims and laid the foundations for the French state, becoming the first king of the Holy Roman Empire. The Jews supported Charlemagne because he opposed the Visigoths and Muslims. Even though Charlemagne is not known in history as a particularly benign monarch, he had a following among the Jews, because he freed them from the persecution of the Visigoths and Muslims. Under him, the Jewish community in France first flourished, especially in Provence. The Jews fulfilled three roles in Provence – but later throughout Roman Catholic Europe. The first and prime role of the Jew was an economic one. The general strength of the Jewish community in Provence lay in the fact that they were very necessary to the economic life of the area. In fact, that would be their undoing. It is a general truism about the Middle Ages: If the Jews were too successful they were doomed. The “trick” was to be successful but in a fashion that no one suspected. It was a very difficult trick to pull off. The Jew’s economic role came about in an unexpected way. In general, the Church boxed itself in by promoting certain dogmas that would not stand the test of time. (The great thing about Judaism is that it has no dogmas; nor does it have anybody who was considered infallible.) One of those dogmas was something promoted by the Council of Nicaea, and then later Councils throughout the Dark Ages: the prohibition of taking interest. In the Dark Ages there was no necessity for capital to be invested – there was nothing to invest it in. The whole idea that money should earn money by investing it is a modern idea, to a certain extent at least. Beginning in the tenth century, when Europe came out of the Dark Ages, commerce and trade between Charlemagne and the Arabs in the south – including the opening of new trade routes to the Middle East – it became impossible economically to run a society on the basis of no interest. Therefore, the Church and noblemen improvised the idea that the Jew would become the middle man. Say that nobleman X had 10,000 gold florins and nobleman Y wanted to borrow them. Nobleman X went to a Jew – sometimes a Jew that had nothing to do with money lending – and told him, “I am giving you 10,000 gold florins, and I want you to return to me 13,000.” In the Middle Ages, 30% interest was not high. The average interest rate than ran between 35-40%. In any event, the Jew went to nobleman Y and said, “I have 10,000 gold florins and I want in exchange 40% interest.” When nobleman Y returned 14,000 florins the Jews returned 13,000 to nobleman X and kept 1,000 for himself. That is how the Jew became a middle man – how, in effect, he became a banker. Now, what happened if nobleman Y did not pay? More times than not it was the Jew who was made to pay. And if he could not pay, then more often than not he was harmed — physically. Therefore, it was a very dangerous business to be in. On top of that, in the Middle Ages the middle man rarely if even made sufficient profit to get ahead in life, so to speak. In actuality, then, the Jews were caught in a bind from both ends. The second “role” that the Jews played in Europe was the scapegoat. Every society, generation and country has its scapegoats. That is not to say it is right or moral, of course, but it is a fact. Things are not going well because… and fill in the blank with your scapegoat of choice. The great benefit of a scapegoat is that it takes the blame away from oneself and places it on another. In the medieval world, scapegoats were absolutely necessary for life. Over a third of the entire European population (25 million) died from the Black Plague within ten years. Entire cities became ghost towns. And it spared neither the clergy nor nobles. No one was spared. How does one explain that? The medieval mind explained it as the wrath of God. But if everyone was a good Roman Catholic how could it be? And why did the saintly clergyman die? If it was not the wrath of God, then it must have been the work of the devil. And who was an instrument of the devil more than the Jew? That is why during the time of the Black Death the number of Jews who died during pogroms was about the same as those who died from the plague itself. Jews remained the archetypal scapegoat throughout European history. Hitler was only the most prominent modern proponent of Jews as the scapegoat. They betrayed German in the First World War, he claimed: they stabbed Germany in the back. All the ills of society could be blamed on the Jews, no matter how contradictory. Jews were at one and the same time accused of being Communists and Capitalists. They were a problem because they assimilate and at the same time because they did not; they remained isolated. All that is included in the “tradition” of the scapegoat. The third role the Jews played was that they could be used as scholars in an age that forbade scholarship, but encouraged scholasticism. There is a difference. The Church was rarely open to new ideas. Winston Churchill once described Russia as being dragged kicking and screaming into the twentieth century. To a great extent, that was true of the medieval Church. Anything new was threatening and dangerous. And, in fact, did it end up being threatening and dangerous to the Church. Most notably, the scientific progress of the Renaissance is probably what undid the Church more than anything else. The Church’s real enemy was not the Muslims or Jews, but Galileo, Copernicus and others who destroyed the underpinnings of theology the Church had accepted as dogma. Nevertheless, human beings by nature are curious. That is his greatest quality and his worst quality. Man as a species is never satisfied. He is never satisfied with what he has or what he knows. There are very few things that last forever. The Newtonian theories of physics have given way to Einstein and his theories. But all of the research and intellectual pressure today is to find a new system of physics. We are always stretching the frontiers, seeking something new, something different. By branding a person a heretic – including the punishment of being burned at the stake – the Church effectively put a break on human invention for many centuries. 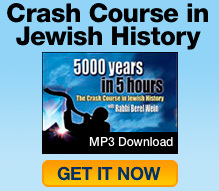 Therefore, the Jews became the cutting edge of civilization. A Jew was going to Hell anyway, according to the Church, so let him read that book that the Church banned. The Jew not only read the book but most of the time he discussed it with Christian clergy or he rewrote it in Hebrew. A great deal of medieval scholarship was originally written in Hebrew and then translated into Latin. The Jew could experiment. He could read what was unreadable. He could say what was unsayable. Of course, many times the Church burned him at the stake also. But in general he was a conduit for the advancement of civilization. In conclusion, the Jew was absolutely necessary in Christian Europe commercially, psychologically and as the cutting edge of civilization. If the Jew did not exist beforehand, Christian Europe would have had to have invented him to cope with everyday life.